Generate excitement in science, engineering,and technology. 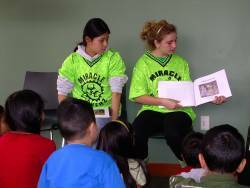 Reach out to the local community by focusing on literacy programs for reading-age youth. Develop science and engineering materials suitable for younger students and their teacher. 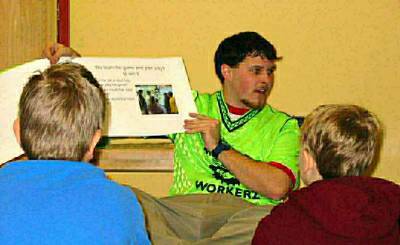 Read aloud programs at libraries and schools. Distribution of age-appropriate coloring books on robots. Donations of early reader books about robots. An annual book drive to support local literacy programs. Developing early reader books and coloring books about robotics. Translated these books into 3 languages (Spanish, English, and Chinese). At each Duel on Delaware, the fall competition that MOE co-sponsors, we hold a book drive and collect thousands of pounds of books for Success Can't Wait, Inc. We are proud to hold what is often one of the largest contributor to their yearly collection. - For K-3rd grade children. Can be used in classrooms, after school or summer programs. 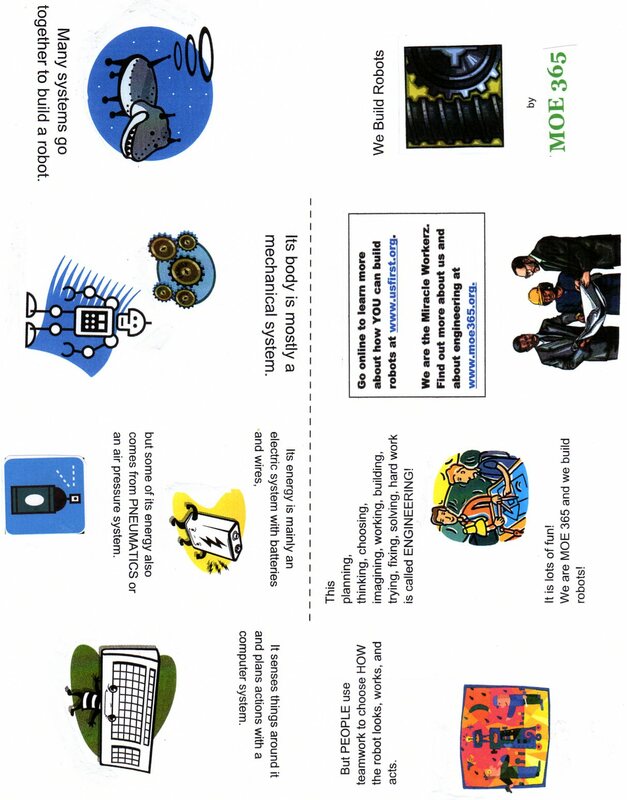 -Using reading & writing to teach young students engineering and technology and connect them to everyday problem solving. - Developed and Graciously provided by Rich Kressley, FRC 1712. 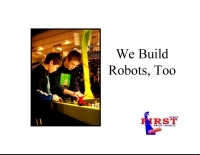 Illustrates the work of an engineering and design process through a high school team's six-week challenge to build a robot to solve problems in an international competition. Shows how middle school students design and build Lego-sized robots to solve real world challenges faced every day by the disabled. Miracle Workerz Gizmoe shows how engineers use science, math, and technology to solve problems everyday. Elementary school students learn about under-water life and design a seascape and creatures to demonstrate what they have learned. 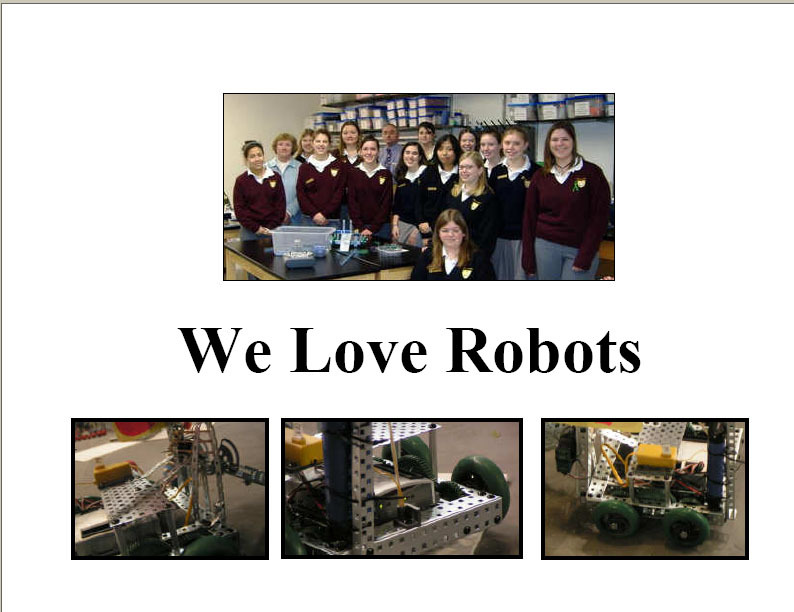 A girl's high school robotics team shares what they learned about the principles of robotics while building table top robots. - Small one page books for young people. Explains in simple terms how engineers often work in teams to design and build complex, creative devices, such as robots to solve everyday problems. Briefly describes five real robots at work in industry and science today. 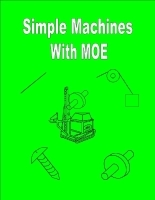 Simple Machines with MOE (pdf 400 KB) - Simple machines make work easier! They can be big or small. Often they are found working together in bigger machines. 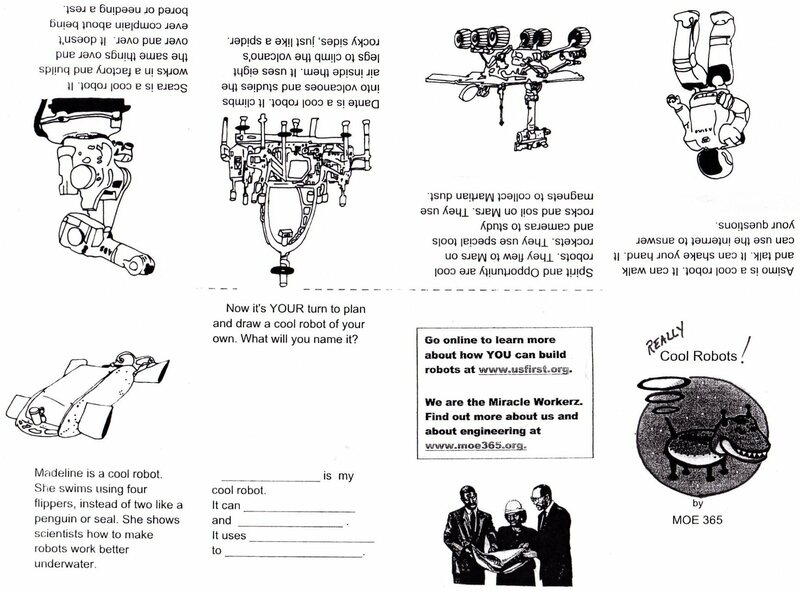 Read about our robot, MOEbius, as he uses simple machines to get a job done quickly and easily. 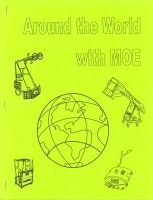 Around the World with MOE (pdf 710 KB) - Around the World with MOE Coloring Book. Our robots travel around the world to show us some ancient and modern wonders of engineering. 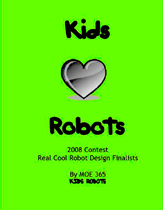 Winners of our 2007 robot coloring contest are combined in this fun to color imaginative book. Download it now (pdf 1.3 MB) and enjoy! Winners of our 2008 robot coloring contest show just how wonderful kids' own drawings can be! Download it now (pdf 478 KB) and enjoy! Totally excellent site! Games, history, links, info -- for students, teens and adult mentors. Control a robot with your arrow keys. Debate about the ethics of using robots. 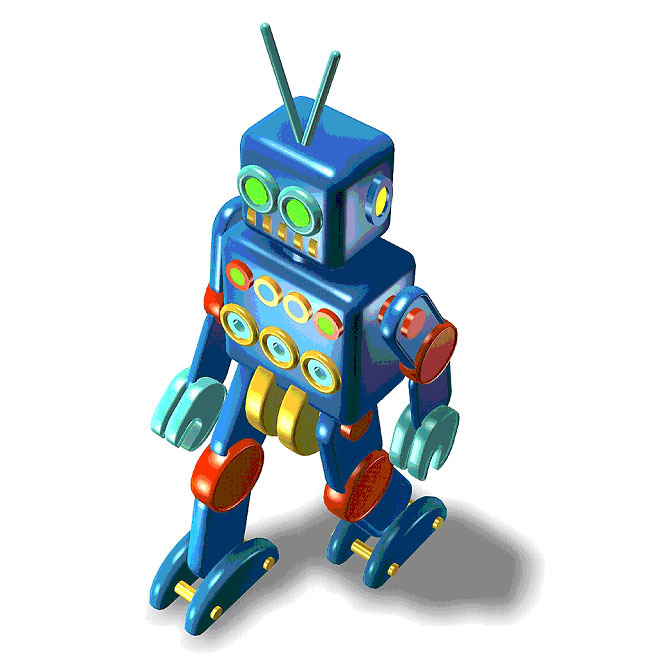 Learn about the history of robotics. Generic site with links to robot topics. 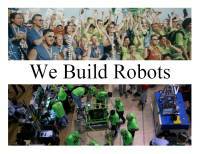 Robotic engineering, software, and systems with lists, links, and activities from NASA. How to make your own nanorover! Tour a very cool collection. website in English, Spanish and Chinese! 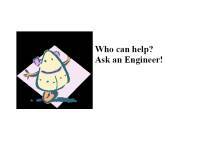 A fun and informative way to discover what engineers do.